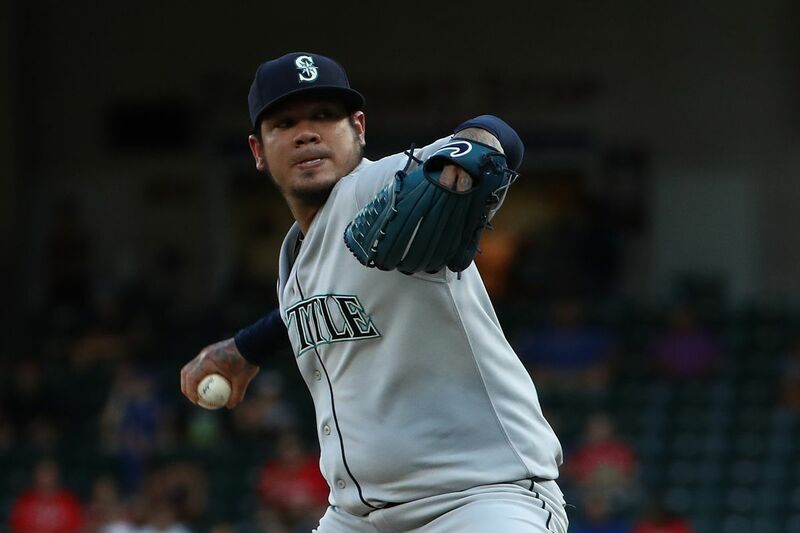 Wed., Aug. 8, 2018, 7:46 a.m.
A GRIP ON SPORTS • If we really wanted to be a bummer on this beautifully hot Wednesday, we could talk about Felix Hernandez and quite possibly his final start as a Mariner. Or we could shift our gaze somewhere else, hopefully to allow you the pain of watching an icon stumble. We’ll pick the latter. Read on. • If it was Hernandez’s final start for the Mariners – he’s pitched poorly all season and awfully the past month for a team that is battling to stay in playoff contention – then I’ll remember it as the game Kyle Seager let him down. Two routine ground balls, two routine plays that didn’t get made cost four unearned runs. And probably even more. When a pitcher is struggling as much as Hernandez is, the mental battle is as important as the physical. When you are afraid to let go, when you are worried about your defense, when you see simple plays turn into runs, then it’s tough to battle through an inning. For a guy who needed all the support he could get, he didn’t get much from his third baseman. But we said we wouldn’t dwell on Hernandez. It’s too depressing. Instead, we are going to flip through the channels until we find something more uplifting to chat about. And that’s it. Flipping through the channels. When you are doing that, what sporting events do you prefer to stop on? My top five is simple. College basketball tops the list, followed by big league baseball. College football is third, golf fourth (though golf majors are No. 1 when they are on) and then the NFL. I know it’s not a typical list. The NFL is most everyone’s favorite. But I’m not that big a fan. Maybe it’s because the teams are too precise, too good. I like a few mistakes, the occasional screw up that shows the human side of the athlete. Or maybe it’s because the NFL has so many weird rules it makes it almost impossible to officiate accurately. Or fairly. I’m not sure. But it’s well down my list as favorite TV sports. Other sports that are growing on me include soccer, especially the better players from around the world, whether that be in national competition or in club play, and hockey. 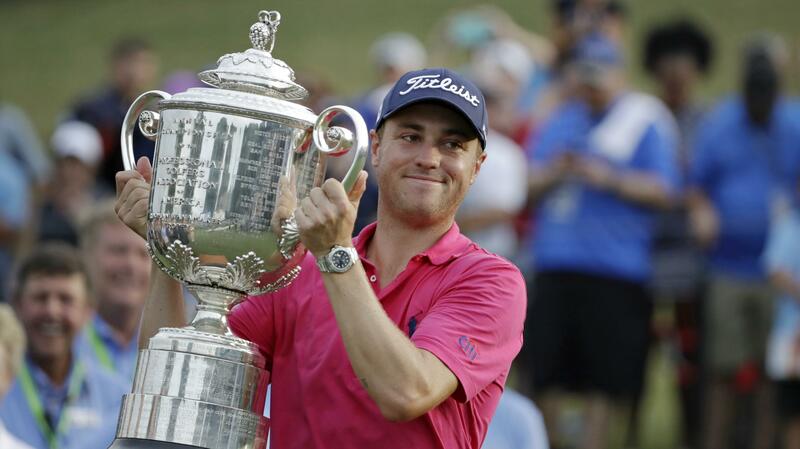 The advent of high definition TV helped golf more than any other sport, but hockey is right behind. It makes a huge difference these days to actually be able to follow the puck. One sport that has fallen from my watch list is tennis. As equipment changed over the past couple decades, the game went from being dominated by serve-and-volley players to those who pound the ball back and forth from the baseline. A two-hour match was normal. Not anymore – unless it is a mismatch. Time is a problem with baseball as well. I love watching but rarely stay for an entire game anymore. The sport’s governors are trying to squeeze minutes out of games. That’s good. And when they have the guts to shave 30 seconds out of each half inning, saving around 10 minutes a game, they will finally be on the right track. See, I knew I could take your mind off Felix Hernandez’s troubles. At least for a little while. WSU: You would have to brave 100-degree heat to watch the Cougars right now, and few are willing to do that. One that is, however, is our Theo Lawson. He has his observations from yesterday’s practice and interviews with Mike Leach, Eric Mele, Will Rodgers and Keith Harrington. But the best story he has is this one on the new redshirt rule – it allows anyone to play up to four games and still redshirt – and how it will impact the Cougars, especially Cammon Cooper. … Elsewhere in the Pac-12, Washington’s defense is going to be really good. And the offense should be helped by the return of one speedster. … Oregon has struggled on the road recently so new coach Mario Cristobal decided to start the road trip prep early. … Practice continues for Oregon State, with one player excited to be back. … You want to be a Stanford fullback? Grow your hair. … Colorado’s nose tackle has lost weight to be quicker. … The secondary may be Utah’s best ever. … Linebacker Porter Gustin, a huge part of USC’s defense, left practice with a knee injury yesterday and will have an MRI. … A dust storm disrupted Arizona State’s practice. … Arizona quarterback Khalil Tate is Sports Illustrated’s Heisman favorite. … The Wildcats may not get a safety back. Gonzaga: It may not move the meter much for the season ticket holders, but the Zags added two more home games to their nonconference basketball schedule. Idaho State will open the season Nov. 6 and Texas-Arlington will come to town Dec. 18. Jim Meehan has more in this story. … Jim also spoke with Larry Weir for the latest edition of the Press Box pod. … The West Coast Conference’s travel schedule suits the Gonzaga women just fine. Jim Allen spoke with coach Lisa Fortier about it for this story. EWU: There is a lot of experience on Eastern Washington’s football team, but that doesn’t mean there is no hope for the youngsters. Ryan Collingwood has a story on some redshirt freshmen making an impression. Idaho: The most-high profile position battle in Moscow is, of course, for the starting quarterback spot. Peter Harriman takes a look at how the competition is shaking out a week into preseason practice. Indians: Spokane representatives played big roles in the Northwest League’s 13-10 loss to the Pioneer League in an all-star contest. Mariners: So the biggest news from last night’s 11-4 loss to Texas was Hernandez’s outing. And whether he’ll get a chance in Houston later this week. But the good news is Oakland lost so the M’s didn’t fall any further back in the playoff chase. … Jean Segura, who has struggled in the second half most of his career, got a day off. … Is Dee Gordon the right guy to lead off? Seahawks: Who will play in Earl Thomas’ spot? … There are more questions than that to answer in the secondary. … A new candidate is emerging at right tackle. … Practice is the place to figure such things out. Sounders: There were a couple additions Seattle wanted but may not get. Published: Aug. 8, 2018, 7:46 a.m.